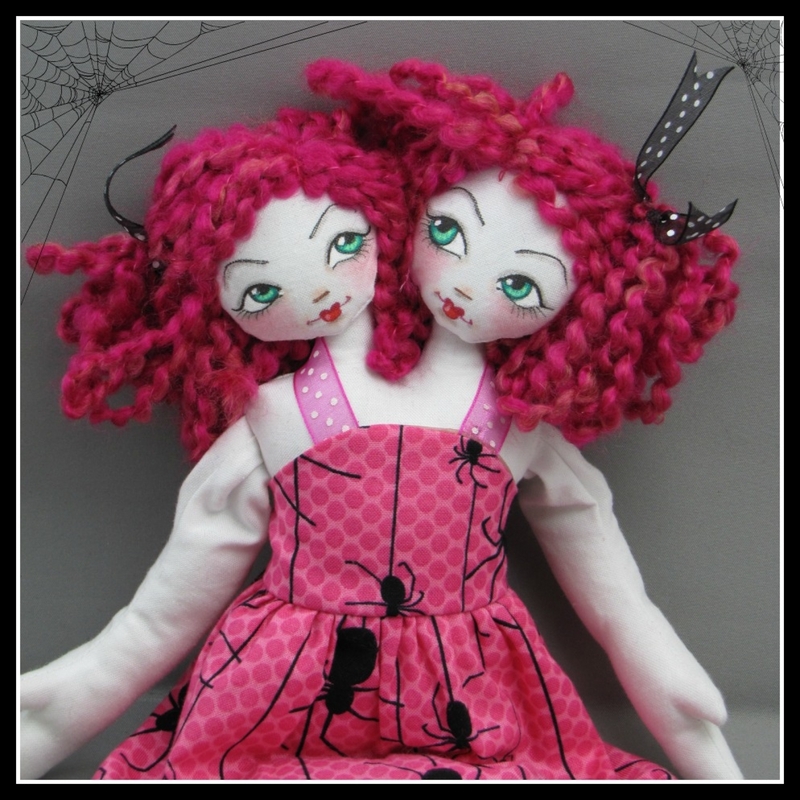 These girls have wavy hot pink yarn hair and pretty green eyes. Their shoes are painted on their black and white striped legs using acrylic paint. Their dress is made of hot pink printed cotton with black spiders.